"Camp's Got Talent" was the theme of Power Scholars Academy at YMCA of Honolulu powered by BELL. Throughout the program held at Central Middle School, 83 scholars going into grades 6-8 were encouraged to discover their talents and to "Be Extraordinary." Scholar momentum didn’t end with the summer. Central Middle School contracted BELL to offer afterschool programs in the fall. During the summer, themes relating to skills-development and college preparation were woven into both the academic and enrichment program. During community time, scholars took virtual online tours of colleges they were interested in. Enrichment courses in storytelling through media, street art, swimming, cooking, physical education, aikido, and basketball were designed to foster critical 21st century skills like teamwork and leadership, to increase self-confidence, and to expose scholars to new subjects, opportunities, and career paths. Scholars had frequent opportunities to explore the great outdoors and learn about Hawaiian culture. Field trip destinations included Ulupo Heiau Lo'I, Honolulu Community College, YMCA Camp Erdman, Ice Palace Skating Rink, Sherwoods Beach, and Fort Shafter Bowling. The program had a major impact on the scholars, who were chosen based on academic and economic need. Evaluation results show scholars gained two months in literacy skills and three months in math skills. According to evaluation surveys, 100 percent of teachers reported an increase in scholars' self-confidence. 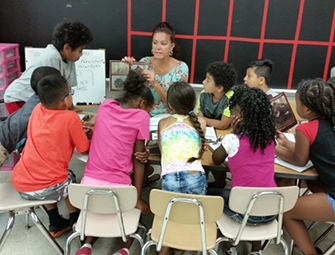 "Incorporating Growth Mindset was a key component," says one Power Scholars educator. "Scholars taught themselves to pick themselves up, find solutions, and seek help from their peers. I saw their confidence grow as much as their skills in math." Ninety-three percent of parents reported their children having a better ability to overcome challenges. 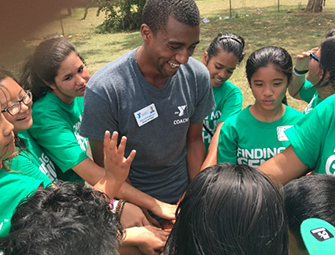 Power Scholars Academy at YMCA of Honolulu enjoyed great community support. Harris United Methodist Church hosted the end of the program summer celebration. St. Peter's Episcopal Church provided volunteers to serve lunch. Nu'uanu Y's Men and Women Service Club provided snacks for scholars. The YMCA of Honolulu also participated in the USDA and Wellhart Foundation Summer Feeding Program, which provided breakfasts and lunches. 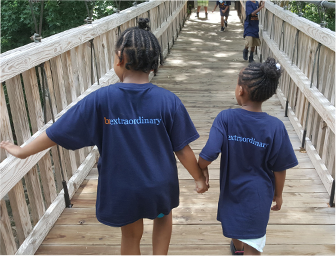 A group effort helped more than a thousand rising 3rd-5th-grade scholars in Montgomery County, MD, gain skills during the summer instead of learning the typical two-months without structured summer learning experiences. According to program evaluations* administered by BELL, scholars achieved one and one-half months of gains in literacy skills and more than three months in math skills in BELL Summer 2017. Montgomery County Public Schools (MCPS), Montgomery County Council (MCC), and the Norman and Ruth Rales Foundation (Rales Foundation) engaged BELL to serve more than 4,000 elementary school scholars from 2016-2019. 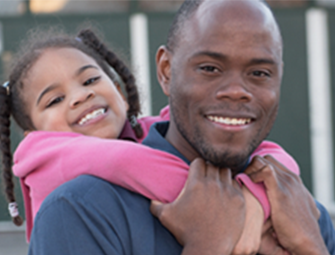 To serve the county’s most vulnerable youth and their families, MCC established the Children's Opportunity Fund, a component fund of the Greater Washington Community Foundation. BELL delivered the five-week program—at no cost to families—at eight Title I elementary schools across Montgomery County: Arcola, Bel Pre, Cresthaven, Captain James E. Daly, Sargent Shriver, Summit Hall, Watkins Mill at Stedwick, and Weller Road Elementary Schools. We provided evidence-based, rigorous academic instruction in small group settings. Math instruction built problem-solving skills. Literacy classes exposed scholars to stories of perseverance, personal transformation and social justice. Enrichment activities in theater, photography, creative writing, cooking and STEM, sparked the scholars' interest in new subjects and increased their social skills and self-confidence. Field trips exposed scholars to new experiences and hands-on learning. Scholars visited new destinations including B&O Railroad Museum, Clark Eloak Farm, Imagination Stage, and Roer's Zoofari. According to evaluation surveys*, 98 percent of teachers trained in BELL reported an increase in the self-confidence of scholars and 94 percent of educators say BELL helped them improve their professional skills. "The program is amazing," said an educator. "I love what BELL represents!" Ninety-five percent of parents reported their scholars improved their abilities to overcome challenges and 88 percent of parents say they are more involved in their child's education. *Post-program data reflect the results of STAR assessments and surveys administered by BELL and does not represent the findings from the independent evaluation conducted by MCPS. BELL was chosen by the city of Providence to provide a 5-week summer learning and enrichment program for 420 elementary students. This was BELL's first summer program deployment in the state and instantly expanded its footprint in the New England region. According to Providence Mayor Jorge Elorza, more than 60 percent of the city’s students suffer summer learning loss in reading and more than 50 percent in math. Mayor Elorza describes the city’s increased investment in summer learning as key to improving students’ academic and social emotional skills for lifelong learning and success. "We must remember that students spend only 20 percent of their waking hours inside of a school. The other 80 percent of your time, you spend outside of the school,” he says. “There’s as much proof from learning and growth in that 80 percent than the other 20 percent. So, we want to make sure we are investing in that." The mayor describes summer learning as an opportunity for students to get ahead in their classrooms and on their career paths. "We see it as an enrichment experience to add on to the greater experiences the students are getting throughout the school year. That's why we are committing to increasing high-quality summer learning for youth across the city." 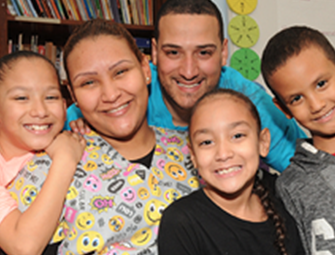 After a highly-competitive selection process, BELL was selected along with three other nonprofit organizations to provide the programs at no cost to families. BELL delivered over 150 hours of extended learning, blending rigorous academics with engaging enrichment activities to help scholars make measurable academic gains. BELL exposed scholars to enrichment experiences to boost self-esteem and develop leadership, communication, and collaborative skills. "Research tells us that summer learning loss is a real thing and a real problem," Mayor Elorza said. "Many of our kids here in Providence fall behind during the summer months, because for one reason or another, our parents don’t have the same means to send our children to summer enrichment programs." The mayor also described the positive economic impact the summer programs will have on the Rhode Island economy. "As part of this initiative, we will work closely with our partners to create job opportunities for high school students as well. This summer, these programs will be hiring over 20 Providence public school department high school students to serve as teaching fellows and counselors to younger students." Steve and Connie Ballmer took big steps in 2017 to help create paths to opportunity for more children and families that are disproportionately likely to remain in poverty. Steve, Connie and their team at Ballmer Group made several flexible investments, with an eye on results-oriented programs and organizations that can scale nationwide. made in 2017. 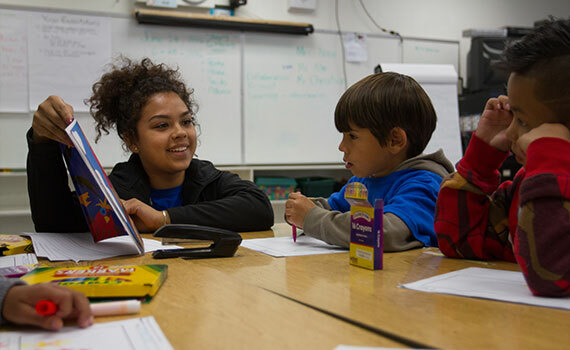 Ballmer Group’s generous support will help BELL increase its impact across the country, with greater efficiency and attention to the needs of scholars, their families and their teachers. Connie Ballmer founded Ballmer Group with her husband Steve, former Microsoft CEO and Los Angeles Clippers owner, to support domestic organizations and initiatives aimed at improving economic mobility for the country’s most vulnerable citizens. “We hope to demonstrate the value of long-term unrestricted grants; they provide the flexibility to think, strategize and reach that’s so important to making a lasting difference,” explains Connie Ballmer. “We want to help BELL to meets its goals, reach more people, achieve greater outcomes and strengthen organizational health,” she says of the pledge to BELL. Ballmer Group’s support of BELL is the largest gift in our 25-year history. In this anniversary year, we are thrilled to count the Ballmers among our biggest champions. Their investment will prove transformational and catalytic as we aim to scale our results for more scholars over the next many years. In celebration of our 25th anniversary, BELL launched Beyond, a campaign which shines a bright light on BELL's quarter-century of impact in classrooms and communities across America. 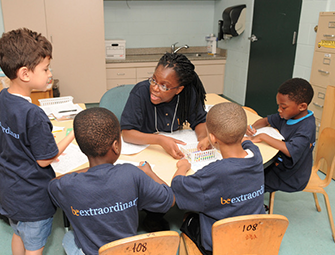 Our Through the Years timeline celebrates BELL's humble beginnings and meteoric rise to become the largest evidence-based summer learning program in the nation. In our Stories of Impact section, inspiring people shared their perspectives on BELL's transformative impact, from boosting grades to boosting self-confidence, and fostering a growth mindset. Here are a few stories that demonstrate the power of the BELL experience in the classroom and beyond. 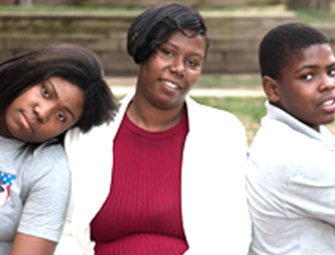 Serving a growing family, one scholar at a time. Dad: Parent involvement is key to success. A safe haven for scholars to succeed. Community engagement is a key feature of the BELL Summer experience. At every BELL site, community members are welcomed into the classroom to teach a range of real-world skills, share inspirational stories of personal triumph over struggle, and broaden scholars’ horizons by introducing them to college and career opportunities beyond the classroom. 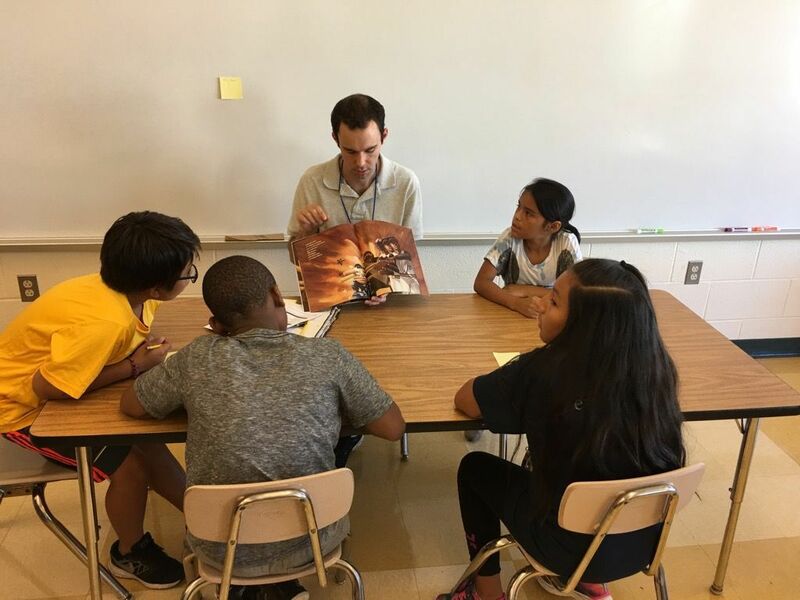 During the summer of 2017, employees from BELL’s corporate partner, Santander Bank, volunteered their time and expertise to strengthen the financial literacy of rising 3rd, 4th, and 5th grade scholars in Boston, MA, and in Providence, RI. In Providence, volunteers visited math classes to introduce scholars to the basics of money management. They read children’s books that included fun activities to help scholars practice fundamental skills such as counting change, adding and subtracting decimals, distinguishing between needs and wants, and creating a basic budget. Each set of activities was followed by a robust discussion between scholars and volunteers regarding the importance of saving. Volunteers answered scholars’ many questions about what it is like working at a bank and their college and career paths. Santander volunteers also hosted a workplace field trip for 20 rising 4th and 5th graders at the bank’s Dorchester office. Together, volunteers and scholars read aloud from E.L. Konigsburg’s classic, “From the Mixed­Up Files of Mrs. Basil E. Frankweiler,” that stimulated a discussion about the importance of money, saving, and budgets. Scholars created personal budgets and analyzed information to weigh the pros and cons of opening savings accounts at various local banks. The trip concluded with an exciting behind­ the­ scenes tour of a Santander branch. Santander awarded $50,000 to support summer 2017 BELL programs in New England, which served more than 1,600 scholars across 10 communities in Connecticut, Massachusetts, New Hampshire, and Rhode Island.